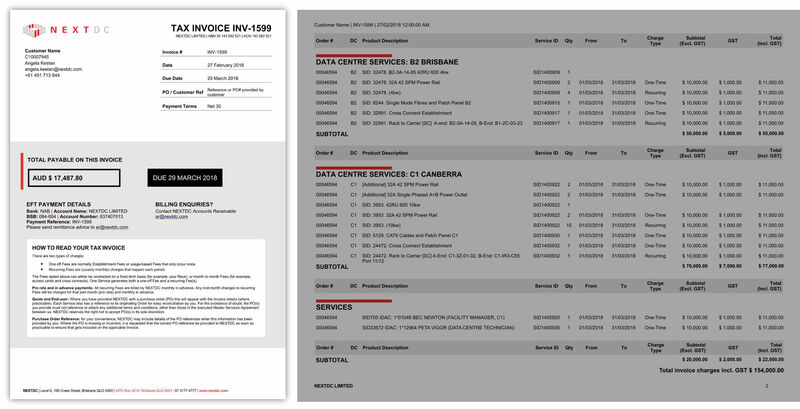 The updated invoice layout is intended to provide you with a clear, consistent, breakdown of charges, making it easy to reconcile and action. If you have any further questions, please email ar@nextdc.com. The cover page provides a summary of important information to help you reconcile and action your bill.